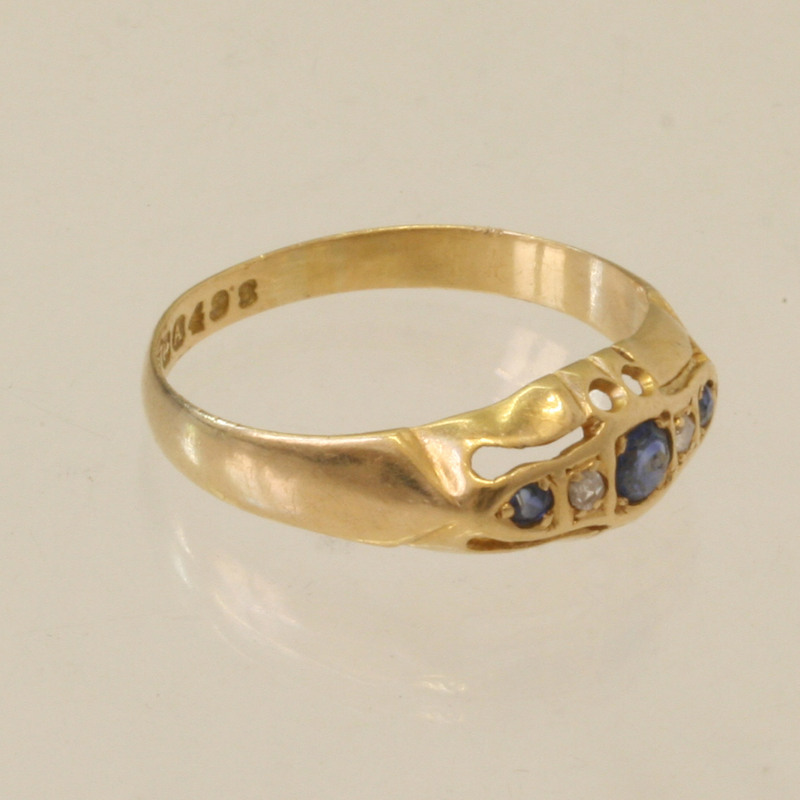 Sapphire and diamond ring from 1925. Product code: 840 Categories: Sold Items, Sold Rings. Sapphire and diamond rings are always popular and here we have one that is set with 3 sapphires and 2 diamonds in a truly sweet design and setting. Made in 18ct yellow gold in 1925, it can be worn on its own or along side other rings and can easily be worn on a daily basis. A fantastic sapphire and diamond ring that will be worn with pleasure.